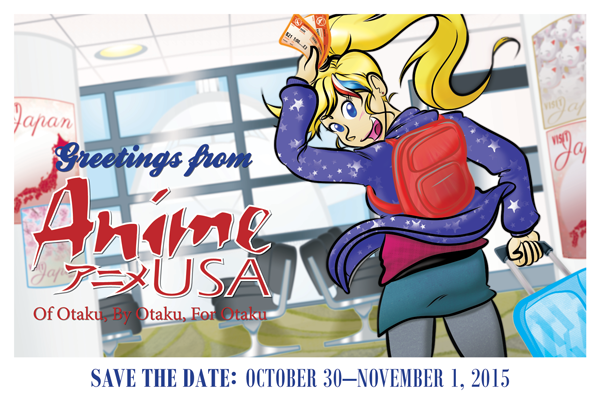 Save the date for Anime USA. Join us on Halloween weekend, October 30–November 1, 2015. We’ll be exploring Japan and all of its glory. We’ll go from Mount Fuji to the Tokyo Imperial Palace and beyond! We’ll take a look at the magnificent cities, tea houses, trains, and the diverse landscape, as well as the history of tourism in Japan. More details coming soon! Tagged anime usa, anime usa 2015, exploring japan, halloween, japan, save the date.